If you are out an about, and in need of a quick low-carb snack or meal, there are some options available from shops and chains on the High Street. Pret-A-Manger have some low-carb salads: Chef’s Italian Chicken, Caesar (discard the croutons), and small side salads they call “No bread sandwich”. They do small packets of unsweetened nuts called “Naked Nuts”. Another good option is a protein pot with two boiled eggs and spinach (a bit boring but definitely low-carb). Many branches of Boots now sell low-carb bars from Atkins range, as well as some sugar-free sweets suitable for diabetics. These are usually available from a stand called “Weight management”. 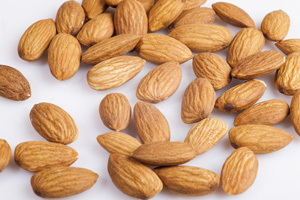 Small packet of nuts – almonds, pecans, walnuts, brazil nuts, macadamia and hazelnuts are all good choices. Avoid cashews and peanuts – they are a lot higher in carbs. Biltong – this South African speciality is essentially strips of dried beef, usually flavoured with pepper or other spices. It can be found in many supermarkets. Not to be confused with Jamaican jerky – jerky contains quite a lot of sugar, as beef is marinated in a sweet spicy sauce before drying. Cheese – all supermarkets usually carry mini-cheeses like Cheesestrings and Babybels, and possibly other cheeses in small 30-50g packs. Prawns – many supermarkets stock small packs of prawns, perhaps with a dip on a side. Itsu’s sashimi box is a perfect low-carb dish, utterly delicious although a bit expensive at almost £10 per pack. If there isn’t one available on the ready-made counter, you can request one to be prepared fresh, which is usually done within 3-5 minutes. There is also a smaller dish tuna carpaccio – also a good choice. Crussh is a smaller chain of lunch shops, based mostly in London. They stock some excellent low-carb options: soft-boiled eggs with salmon, ham or avocado toppings, and “protein plate” lunch boxes, with a selection of cold meats, smoked salmon etc, on a bed of spinach. Seriously? Well, if you must – but this should be absolutely your last resort option! Beef or chicken burgers can be made low-carb if you discard the bun – go for an option without any added sauces, and throw away the bread. McDonald’s now carry several salads, also a possibility. Southern fried chicken can be acceptable if you discard the battered skin. Sorry – there is nothing low-carb in this sort of place whatsoever. Avoid!